The EOS 5DS R camera has the low-pass filter (LPF) effect cancelled to deliver results with finer edge sharpness and detail. Designed for specialized situations, the LPF effect cancellation is beneficial for critical subjects such as landscape photography where obtaining the sharpest detail is the priority. For photographers wanting the ultimate in high resolution capture, the EOS 5DS R camera has a low-pass filter* (LPF) effect cancellation. While a low-pass filter is useful to reduce color artifacts and moiré typical with digital capture, it also reduces detail at the pixel level. 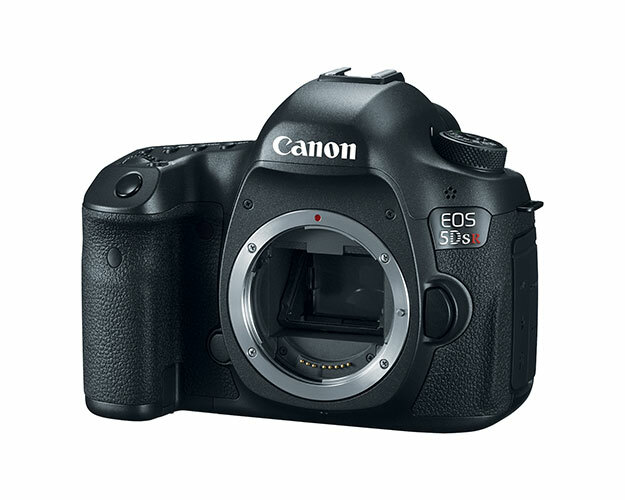 With the LPF disabled, the EOS 5DS R takes full advantage of the original resolving power of the camera's 50.6 Megapixel sensor. More detail is captured and retained in the original image, perfect for landscape and commercial applications where pixel-level detail is scrutinized and when the sharpest possible image is needed. More Resolution for Bigger Images: Newly designed 50.6 Megapixel full-frame CMOS helps deliver ultra-high resolution images for large-scale printing and extensive, creative cropping, while Dual DIGIC 6 Image Processors enable spectacular image quality and processing speed. New 50.6 Megapixel Full-frame CMOS sensor. The EOS 5DS camera features Canon's newest full-frame CMOS sensor. At 50.6 Megapixels, it's the highest resolution sensor in the history of EOS. It captures 8712 x 5813 effective pixels, delivering images with an unprecedented level of realism perfect for large-scale commercial printing, fine art, significant crops and any number of other high-end applications. Thanks to this amazing sensor, engineered to work in concert with dual DIGIC 6 Image Processors, the EOS 5DS is a remarkable, high-resolution camera with impressive performance. Speed and Accuracy with Intelligent Scene Recognition and Analysis. EOS Scene Detection System features a 150,000-pixel RGB+IR Metering Sensor for excellent precision. The EOS 5DS camera has an amazing iSA Intelligent Scene Analysis system that employs an independent RGB+IR light sensor with approximately 150,000-pixel resolution. This sensor enables Canon's Intelligent Tracking and Recognition system (iTR AF) that detects and tracks subjects, automatically switching the AF point to optimize tracking. With new tracking algorithms tailored to recognize faces and colors, this system serves as a brilliant foundation to the EOS 5DS's AF system. Precise and Fast AF for High Resolution Detail: 61-Point High Density Reticular AF including up to 41 cross-type AF points and EOS iTR allows for high precision autofocus. 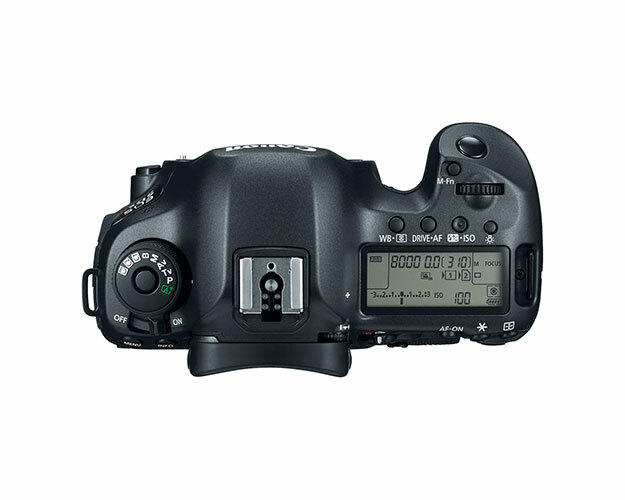 For fast, precise AF with sophisticated tracking performance, the EOS 5DS camera has an advanced, 61-point High Density Reticular AF system with up to 41 cross-type AF points. The EOS 5DS's AF system is incredibly sensitive to changes in composition, making adjustments quickly to help ensure consistent, sharp AF. A new RGB+IR AF (with approximately 150,000 pixels) sensor monitors subject motion, and Canon's iTR Intelligent Tracking and Recognition system synchronizes the active AF point with the subject's motion, helping to ensure that AF precision is maintained. With focus modes dedicated to the particulars of the shooting environment, the EOS 5DS realizes a level of focus accuracy befitting its 50.6 Megapixel sensor. Mirror Vibration Control for Sharper images: Advanced mirror control mechanism and new user-selectable shutter release time lag helps suppress camera vibration for reducing image shake. The camera shake that occurs from the impact of an SLR's mirror can leave blurred details in the recorded image. This effect is magnified when working with a super high-resolution sensor like the one found in the EOS 5DS camera. 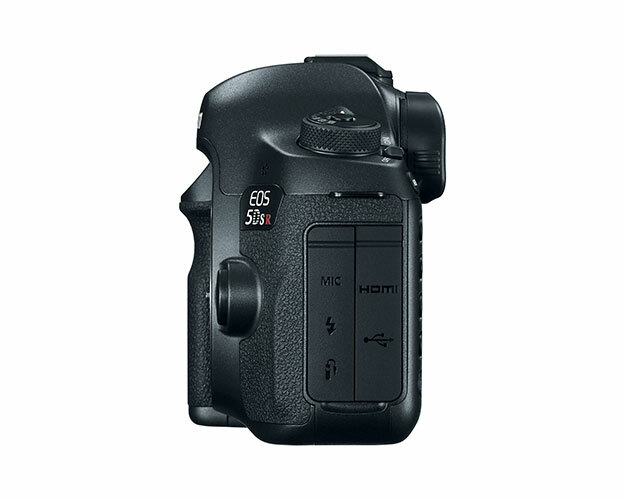 To counter the effects of conventional, spring-driven SLR mirrors, the EOS 5DS features a newly developed Mirror Vibration Control system. The camera's mirror is not controlled by springs but instead is driven by a small motor and cams. This system suppresses the impact typical of the camera's mirror, significantly reducing impact and its effects on the image. 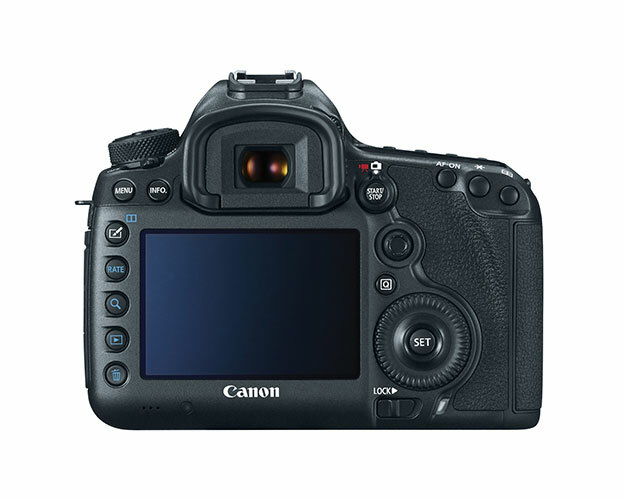 A new Time Release Lag setting, easily accessed on the EOS 5DS's menu system, offers added protection against camera shake by setting the shutter release time intentionally longer so the camera does not begin the exposure until after the impact of the camera's mirror has diffused.